General Motors is going more aggressive now and the best example of it is the back to back launch of Chevrolet Captiva 2012 model and New Chevrolet Cruze 2012. We attended the launch of the Cruze today and other than the price and features of new Cruze, a lot more information was disclosed by the GM India President & MD Lowell Paddock. After the Cruze and Captiva the major is gearing up for the launch of Chevrolet Sail hatchback model that will be called as Sail U-VA and will be launched in July 2012. The Sail U-VA will be offered with a 1.3 litre diesel engine. This is the same Multijet engine that Fiat and GM had jointly developed and not only it will come in the Sail U-VA but the upcoming Chevrolet Enjoy MPV as well, though the Enjoy’s version will be slightly retuned to deliver more power and efficiency we believe. The Sail’s 1.3 litre unit will produce peak power of close to 74 BHP and 190 Nm of peak torque. The engine will be mated to a 5 speed manual transmission and will deliver 20 KMPL of mileage. The petrol Sail U-VA will feature a 1.2 litre engine that produces 82 BHP of max power and 108 Nm of max torque. Once again the engine will be mated to a 5 speed manual gearbox and will return an ARAI certified mileage of 17 KMPL. The design is simple and looks quite plain but if GM prices the car correctly in its segment, it is expected to pull some good sales. Once the Sail U-VA establishes itself in the market in 4-6 months of time or so, Chevrolet will introduce a notchback/entry level sedan version of the same probably by year end. Chevrolet is also working on extensive localization strategies not only for the existing vehicles but for the upcoming such as Sail U-VA, Sail Sedan and Enjoy as well. Increasing the levels of localization will definitely help the brand reduce the price of its cars and therefore be more competitive with current top manufacturers. The outgoing Aveo twins have already been pulled off from the market, with Chevrolet already bringing the production of the two to a halt. 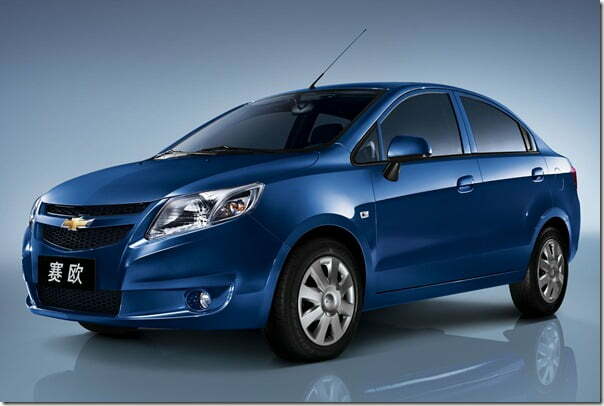 Gradually over a time span of 6 to 8 months the new Sail will replace the current Aveo. The Aveo has not been a very successful product for the brand but its hopes are high with the new Sail which comes with new technology and improved value proposition. We will keep you posted on the new developments, stay tuned.